No matter how long you’ve smoked or used smokeless tobacco products, there’s no reason why you can’t be successful at kicking the habit for good and reaping the countless health benefits of living tobacco-free. To help you get started, here are three tips to keep in mind when quitting smoking. There are lots of reasons and motivating factors behind why different people want to quit smoking. For most people, the health benefits of giving up cigarettes is at the top of the list. You might also want to quit smoking to set a good example for your kids or even to save money. Whatever your reasons are, write them down and keep them somewhere easily accessible. Then, when you start to feel the urge to smoke, read through your reasons to remind yourself why achieving your goal is so important. 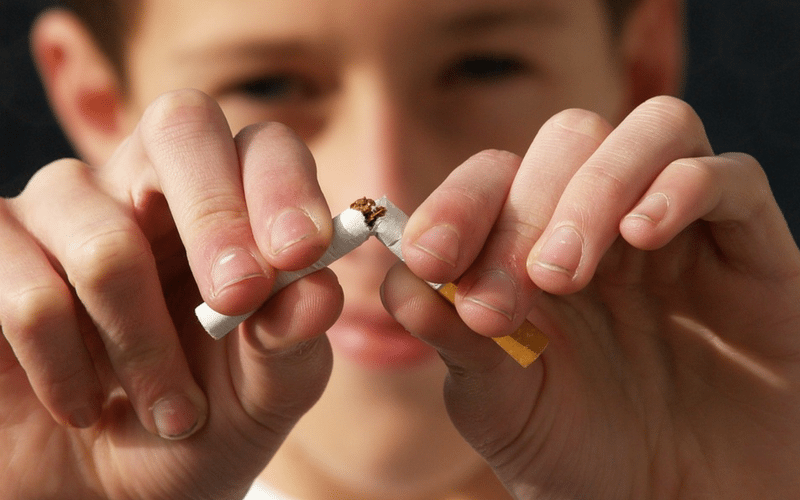 Your body will benefit from smoking cessation within 20 minutes of kicking your tobacco habit. Any time you set a goal for yourself, whether that’s to quit smoking, eat healthier, or exercise more, knowing you have the support of your friends and family behind you can make all the difference. Let your friends and family know that you plan to quit smoking so that they can 1) offer you emotional support and 2) help to keep you on track for meeting your goals. One of the most challenging aspects of quitting smoking for many people is undoing the habit of picking up a cigarette, lighting it, and smoking. If you know that you tend to smoke more frequently when you drink alcohol or after a big meal, try to adjust your regular habits to avoid these types of tempting situations. If you or a loved one wants to stop smoking but needs a little extra help or resources, feel free to contact the Allegheny-Kiski Health Foundation’s community nurses for some guidance, completely free of charge.